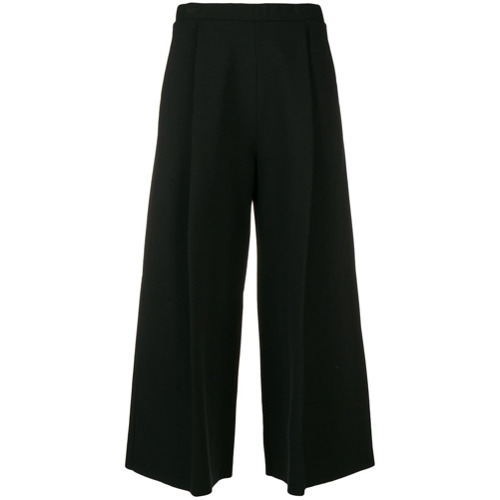 If you're looking for a casual yet totally stylish outfit, wear a black blazer with Pierantoniogaspari wide leg cropped trousers. Both garments are totally comfy and will look fabulous paired together. When it comes to shoes, this getup is complemented wonderfully with black suede pumps. For a smart casual ensemble, opt for a grey wool turtleneck and Pierantoniogaspari wide leg cropped trousers — these items play really well together. Silver leather ankle boots are an easy idea here. This combo of a white and black fringe kimono and Pierantoniogaspari wide leg cropped trousers from farfetch.com is clean, absolutely chic and oh-so-easy to imitate! To bring out a sassier side of you, complete your outfit with black leather gladiator sandals. If you're on the hunt for a casual yet chic outfit, reach for a white cropped top and Pierantoniogaspari wide leg cropped trousers. Both pieces are totally comfy and will look fabulous together. 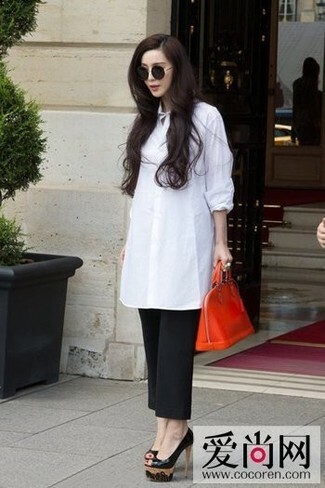 If you're on the hunt for a casual yet chic ensemble, opt for a white shirtdress and Pierantoniogaspari wide leg cropped trousers. Both pieces are totally comfy and will look fabulous paired together. Complete this getup with black cutout leather pumps. If you're scouting for a casual yet stylish ensemble, rock a green-yellow blazer with Pierantoniogaspari wide leg cropped trousers. Both garments are totally comfy and will look fabulous paired together. Make your getup more fun by finishing off with burgundy suede high top sneakers. 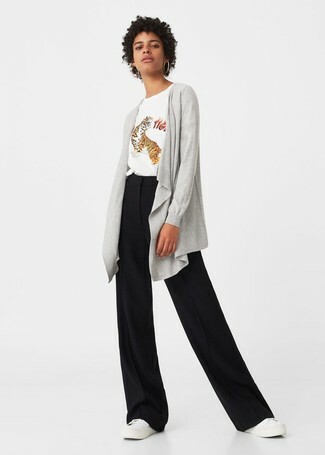 Dress in a grey open cardigan and Pierantoniogaspari wide leg cropped trousers from farfetch.com to create a chic, glamorous look. A pair of white leather low top sneakers brings the dressed-down touch to the outfit. For a casually elegant getup, wear a beige coat and Pierantoniogaspari wide leg cropped trousers from farfetch.com — these pieces go perfectly well together. For a casual chic getup, consider pairing a purple tweed jacket with Pierantoniogaspari wide leg cropped trousers — these items a work setting nicely together.